The peaceful neighborhood of Cotswold, located at the intersection of Randolph and Sharon Amity roads, is beginning to emerge as one of the premier areas to live in Charlotte. Many of the neighborhoods' 1950s- and 1960s-style homes are being renovated and sold -- and developers are swooping in building condos, single-family and multi-family homes. Within the perimeters of Cotswold, there's also a variety of shopping and dining options. What's so great about Cotswold? "Our proximity to everything is great. 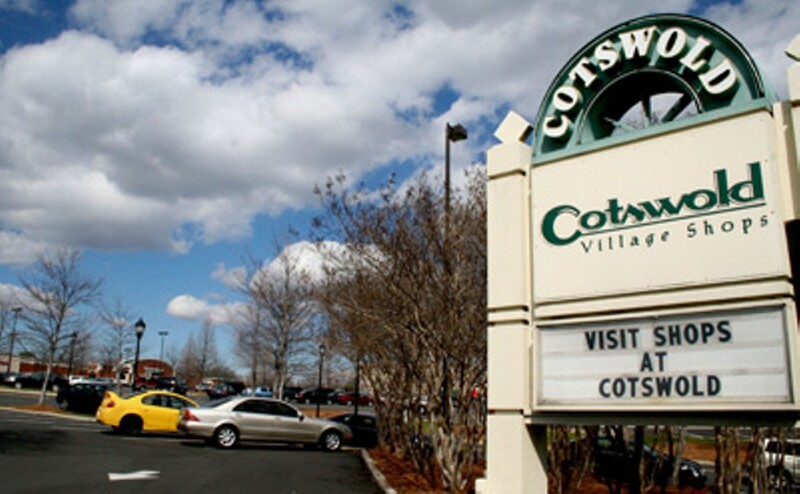 We can walk to the Cotswold Village Shopping Center and have breakfast or do some shopping," says Jill Thomas, a resident of Cotswold for 9 years. "I also like the people that live here. When we first moved here my husband and I didn't have children, and the neighborhood was full of all kinds of people: people with kids, people who had older kids, and empty-nesters. We are a very laid-back community. And we all really enjoy spending time with each other. On a Friday night you can see us on our lawns, in our lawn chairs, watching our kids play. We just really get along well." "Well, my husband and I like to go to Eddie's. It is a local tavern that we love. All the waitresses baby-sit for us. And on Saturdays, my husband likes to take my girls up to Brueggers Bagels for breakfast." CHARLEY'S, 274 S. Sharon Amity Rd., 704-367-9500. A modern setting with patio, traditional and contemporary dishes, featuring brunch specials like Charley's Chicken and Mushroom crepe. HOTEL CHARLOTTE, 705 S. Sharon Amity Rd., 704-364-8755. This comfort-food port with Cajun and Creole specialties has a loyal, neighborhood following. Known for its mammoth beer selection. KOI RESTAURANT & SUSHI BAR, 120 N. Sharon Amity Rd., 704-442-9886. The 60-seat restaurant offers Chinese fusion and sushi, from tuna, soft shell spider crab and specialty rolls. MAMA FU'S ASIAN HOUSE, 110 S. Sharon Amity, 704-714-7878. It's a place where music provides the mood, Mama Fu provides the food, and laughter reigns supreme. Great food should be served quickly and among friends. SHUN LEE PALACE, 4340 Cotswold Rd., 704-366-2025, www.shunleepalacecharlotte.com. A neighborhood tradition for dependable Hunan, Mandarin and Szechuan cuisine. 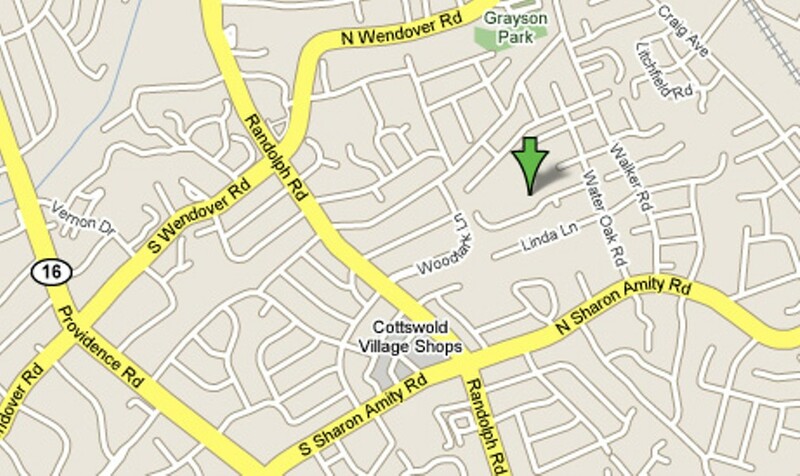 COTSWOLD VILLAGE SHOPS, 282 S. Sharon Amity Rd., 704-364-5840. Features a blend of your favorite trend retailers and restaurants.